parve | "What's Cookin', Mamele?" After waxing poetic a bit yesterday on traditional foods, I decided that today I should give you some recipes or at least ideas for traditional foods. Meatloaf? 1lb ground beef, 1 box parve stuffing mix, 1 egg, and 1/3 cup vegetable or beef broth (perhaps more depending on how dry the stuffing mix is). Smoosh with fingers, place in loaf pan, and bake at 375 degrees until no longer pink and edges pull away from pan (about 45 minutes). Simple vegetarian chili with cornbread topping? Preheat oven to 400 degrees. Rinse and drain 2 cans of black beans and 2 cans of pinto beans. 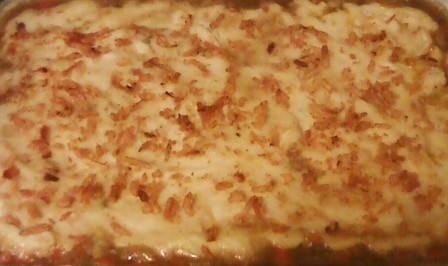 Add to glass casserole dish. Add 1 cup chunky salsa (mild, medium, or hot), 3/4 tsp. cinnamon (trust me), and 2 tsp. chili powder. Mix thoroughly. Mix one box corn muffin mix according to package instructions. Spread 1/4 cup shredded cheese over beans and then spread corn muffin mixture over the cheese. Bake for about 30 minutes or until cornbread is cooked through (if the top browns and the inside is still gooey, cover it with foil and bake a little longer). Finally, I have to admit that I absolutely love sweet and savory together. That is ultimate comfort food to me, and I love finding new ways to combine traditionally sweet ingredients or elements with savory dishes. My most recent discovery is how incredibly awesome Indian Pudding is. It’s a traditional dessert from New England with a pretty un-PC name which is essentially a cornbread pudding. 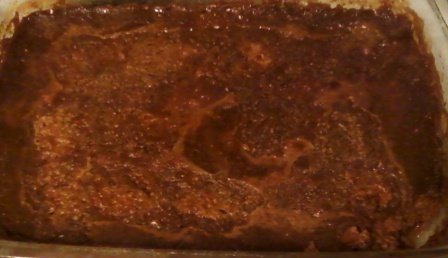 It also let me use some of my new favorite ingredient, blackstrap molasses. I served it as a side dish to a savory dinner. 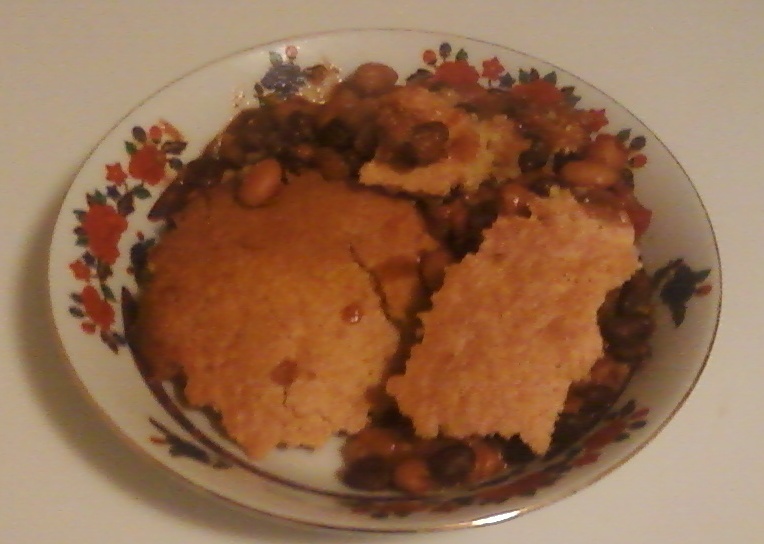 There is an excellent recipe for Indian Pudding at Yankee Magazine. 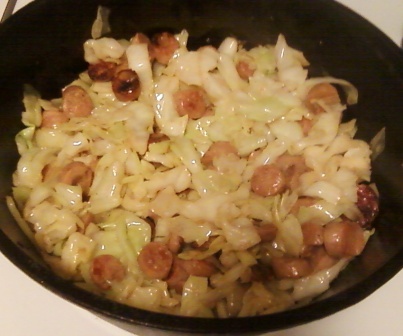 To keep milk and meat separate, you could either make this with dairy alternatives and serve with sauteed maple chicken sausage with shredded cabbage or you could use dairy in the pudding and use a meatless sausage. Playing up the sweet/salty aspect of this combination makes it comforting and fulfilling. And there you have it. These are just a few ideas for hearty, ‘traditional’ winter dishes that are sure to please your taste buds. Enjoy and look forward to me posting some more sweet/savory combo dishes soon!